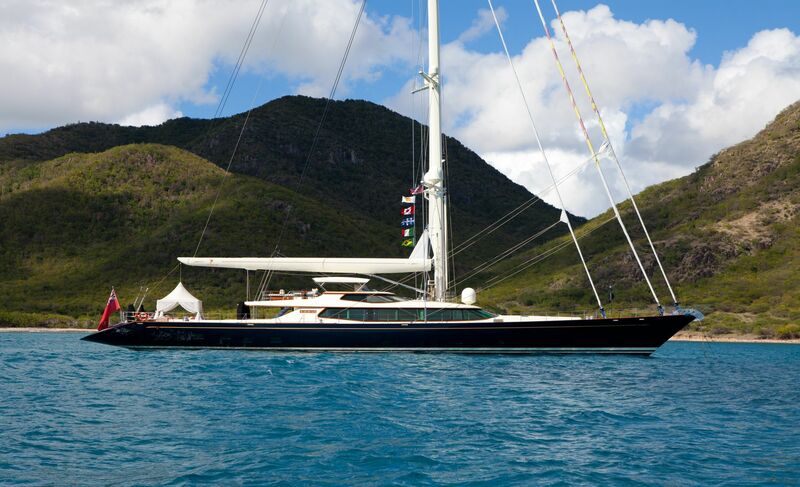 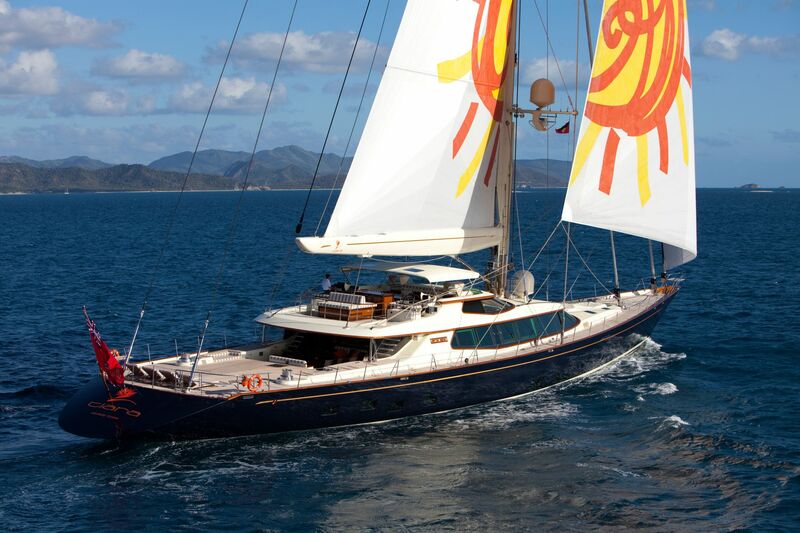 TIARA is a fast and powerful sailing yacht built by Alloy Yachts and designed by Dubois. 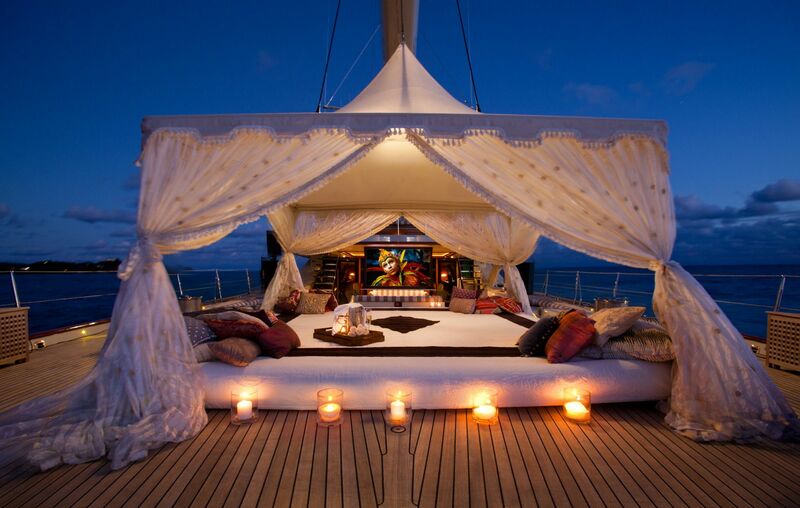 Everything about her is world class. 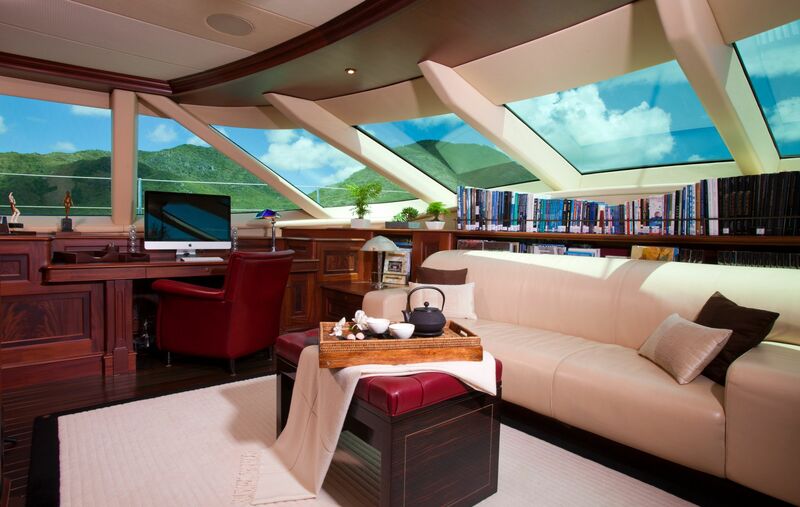 She has been superbly designed thought out and offers all the vast array of high tech amenities available in a current superyacht. 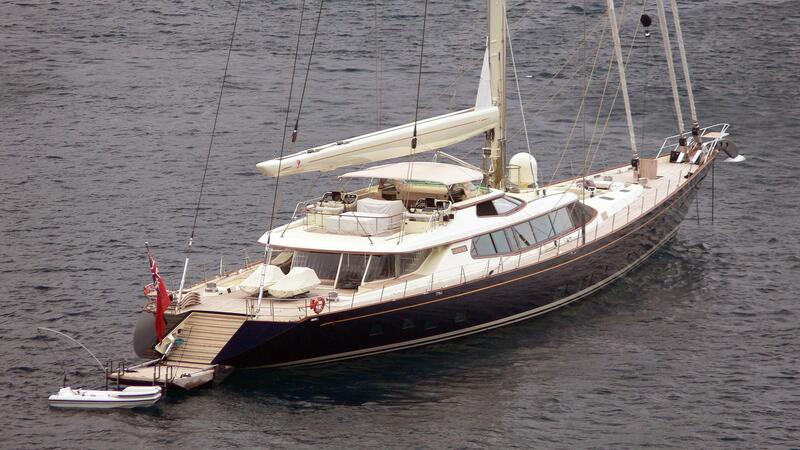 Tiara was designed to sail and perform on the ocean - unlike many earlier of her size - and she has excellent stability and sea handling qualities. 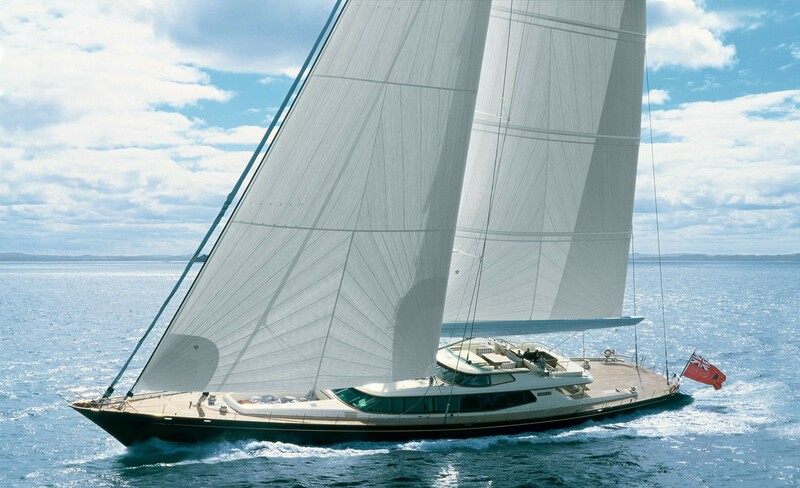 She has a formidable carbon fiber mast of 62.5m (205'), as fitted with in boom furling, which is the maximum height capable of passing making passage through the Panama Canal. 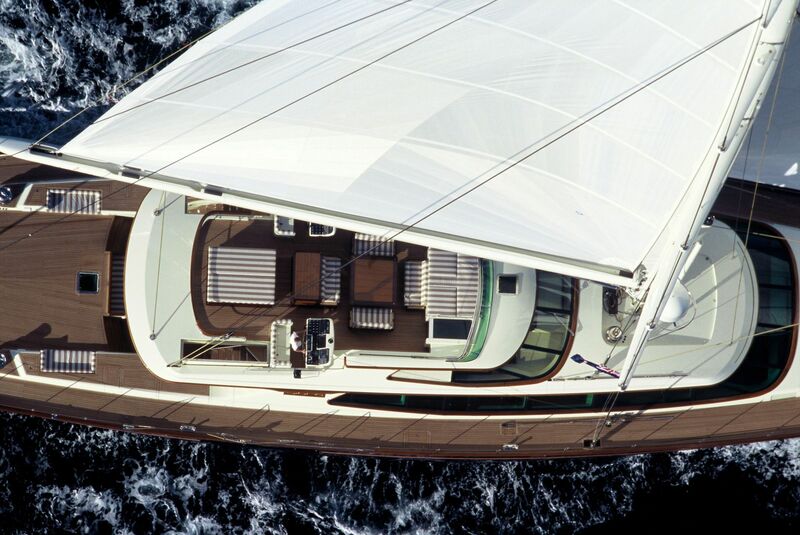 The sail inventory includes a Genoa, Jib, Staysail, MPS and a Mainsail, all made from Spectra Carbon by North Sails. 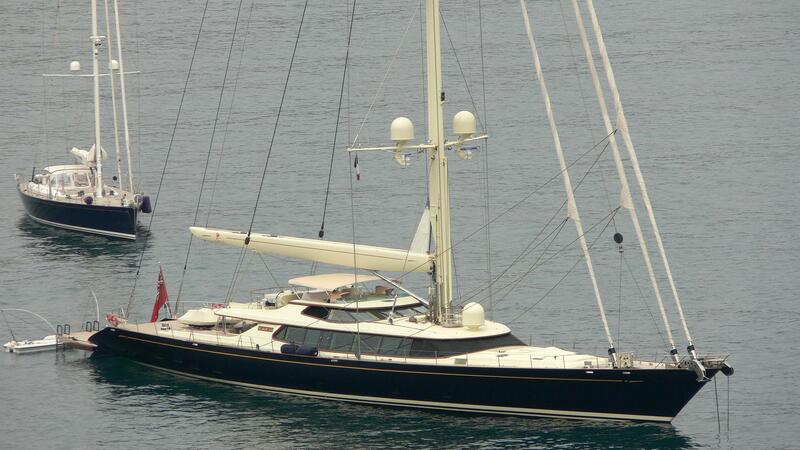 They are handled by Alloy Yachts captive winches and composite furlers. 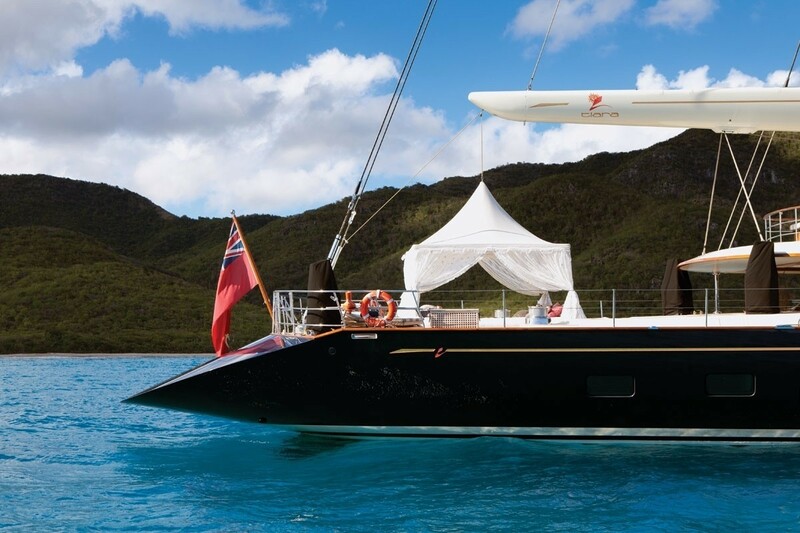 Tiara is one of the most significant luxury sailing yachts that Dubois has designed so far, and she is the most considerable yacht ever built in New Zealand (by the extremely well-respected Alloy yachts). 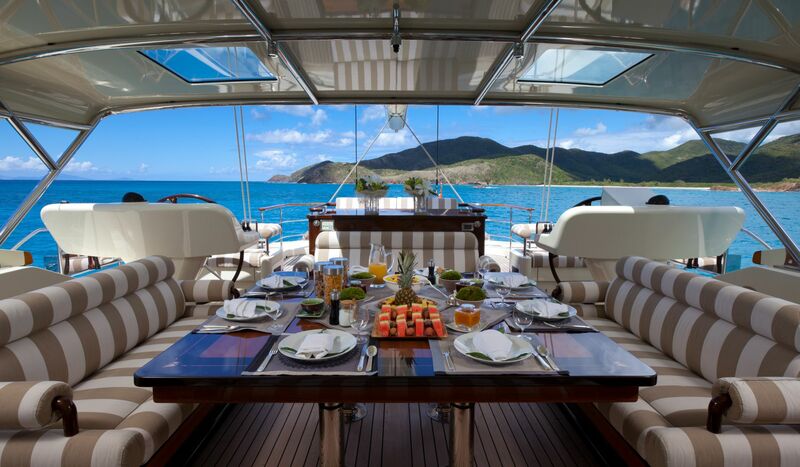 Tiara offers extensive and spacious deck and flybridge areas for outdoor entertaining and activities. 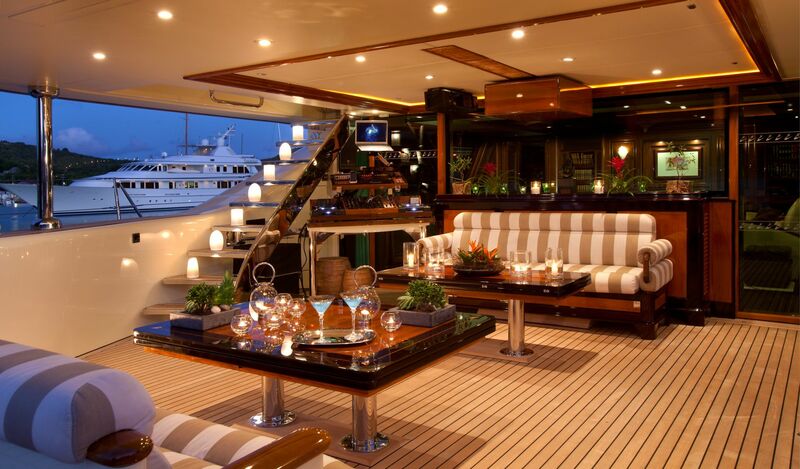 She features a unique and magnificent, extremely spacious, interior which has been brilliantly styled by John Munford. 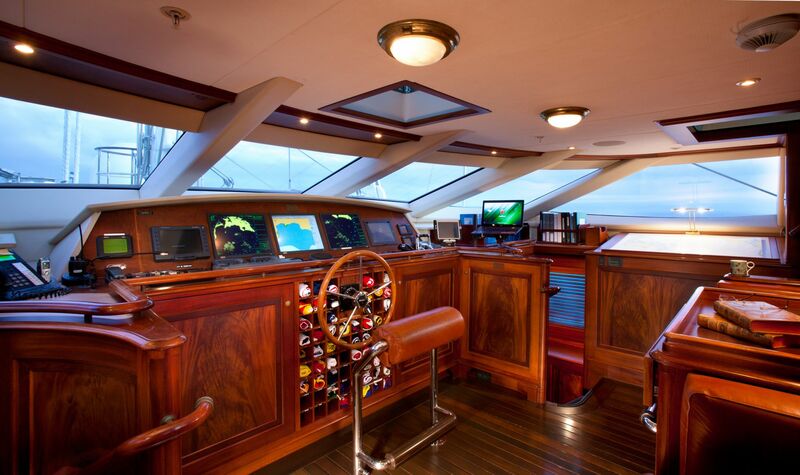 The aft deck is even able to accommodate the landing of a helicopter – a very rare feature indeed! 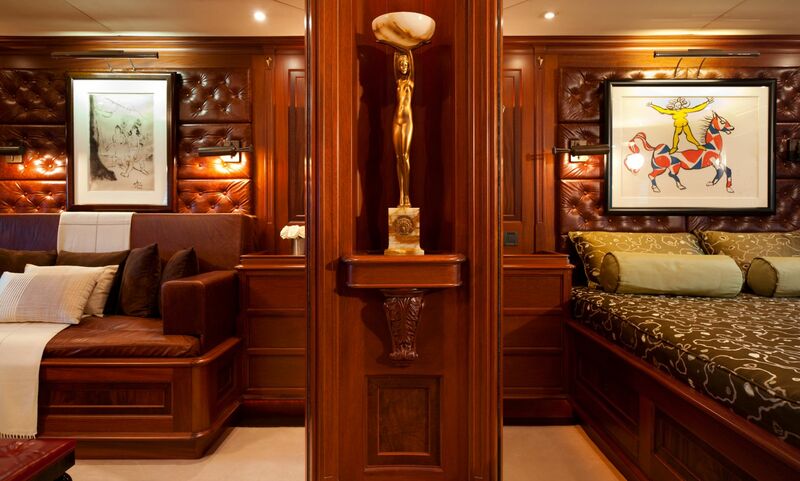 Tiara welcomes visitors with a light and relaxed atmosphere styled in Art Deco fashion in flamed mahogany. 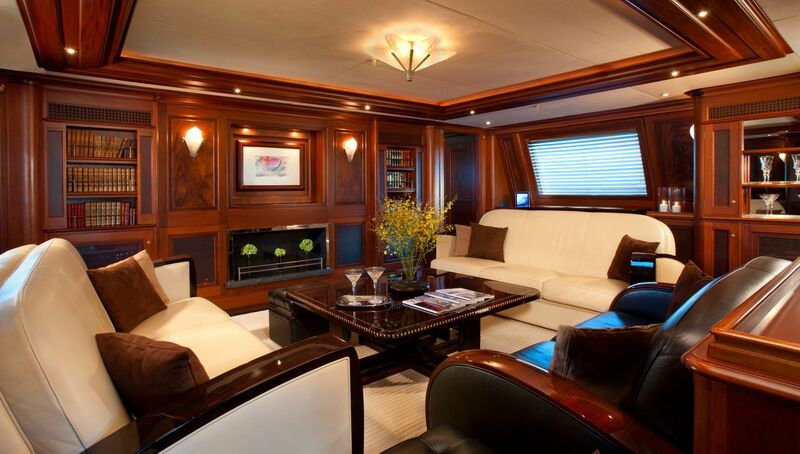 The interior utilizes the clever and subtle use of leather, Galusha, lacquer, and tasteful sculptures. 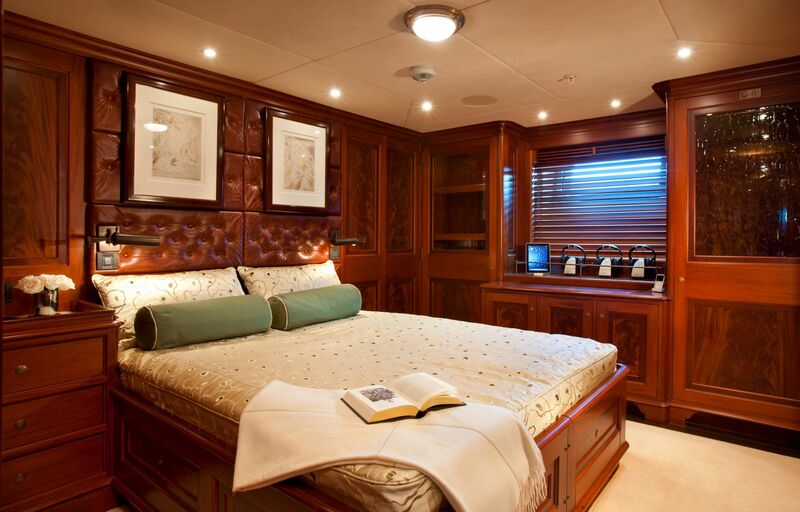 Tiara’s decks are large, well flowing and spacious, and there are several areas for charter guests to sunbathe, relax and enjoy the cruising experience. 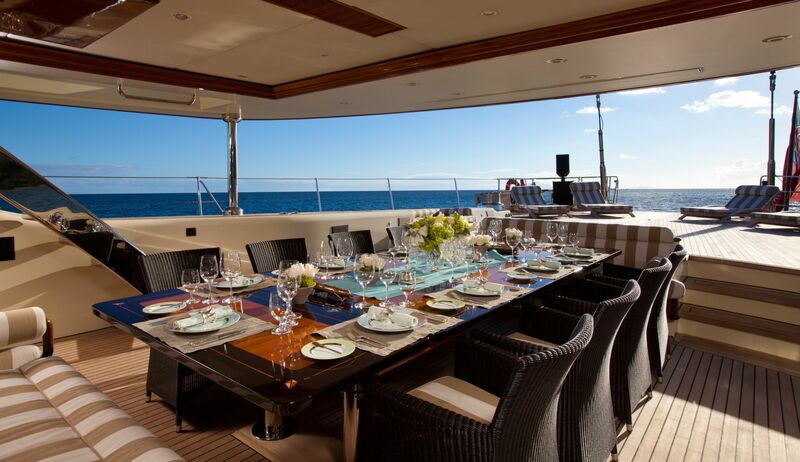 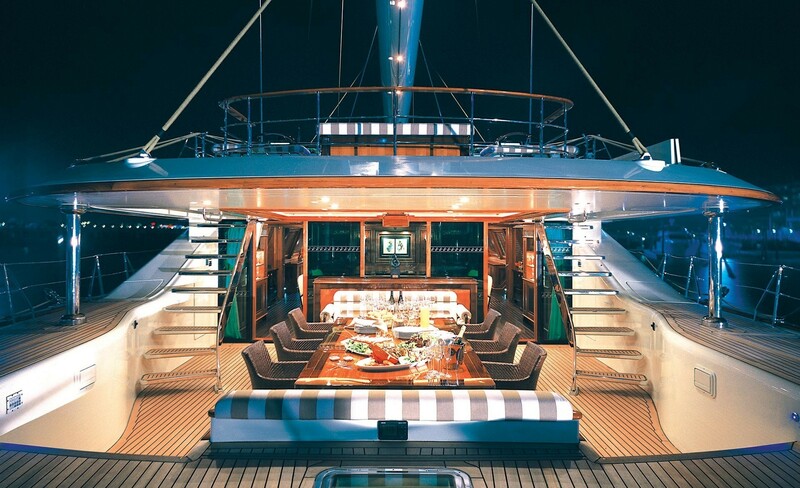 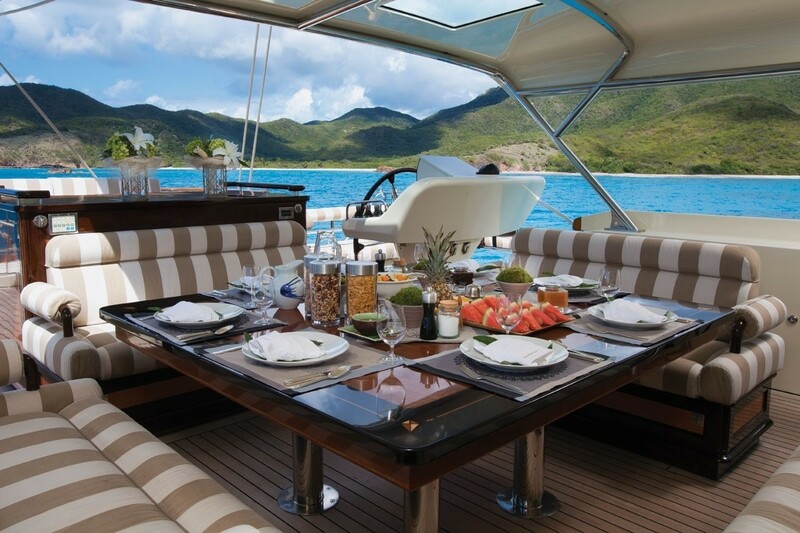 The flybridge area accommodates a large dining table and is fully protected from the sun by an awning. 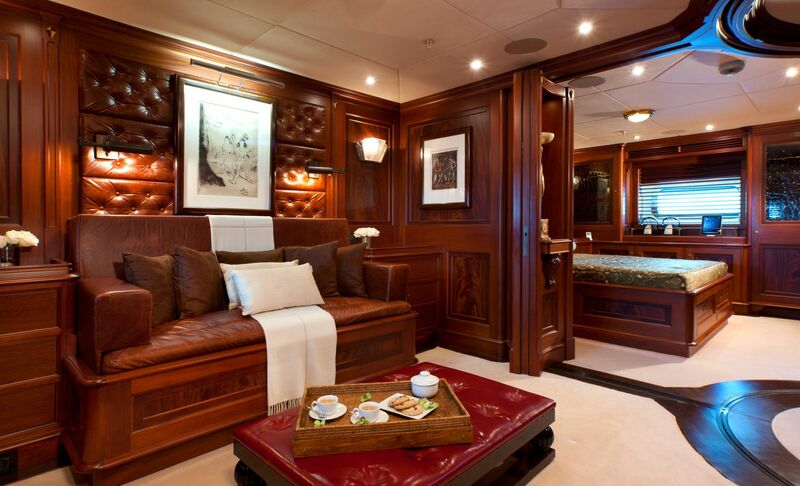 The aft deck (which is large enough for helicopter landing) leads down, with a palatial stairway, to fold out beach area at the transom. 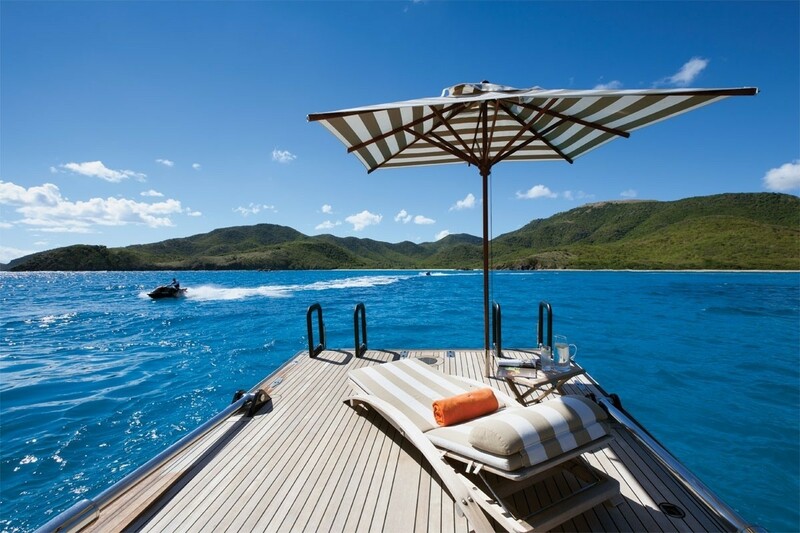 This ‘beach’ creates an ideal place to access the water for a swim, board the tender for a shore excursion, or try out the various water sports toys. 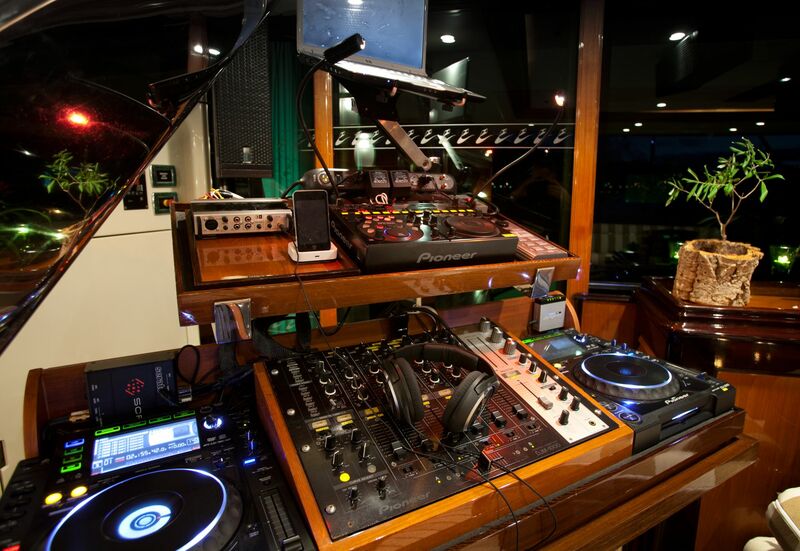 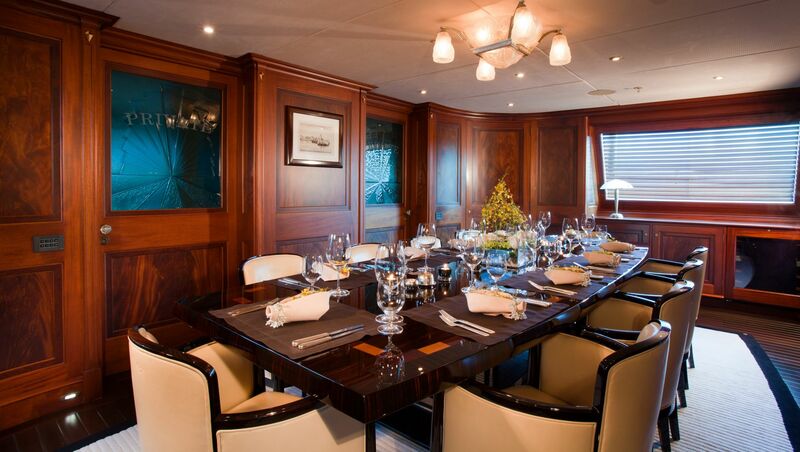 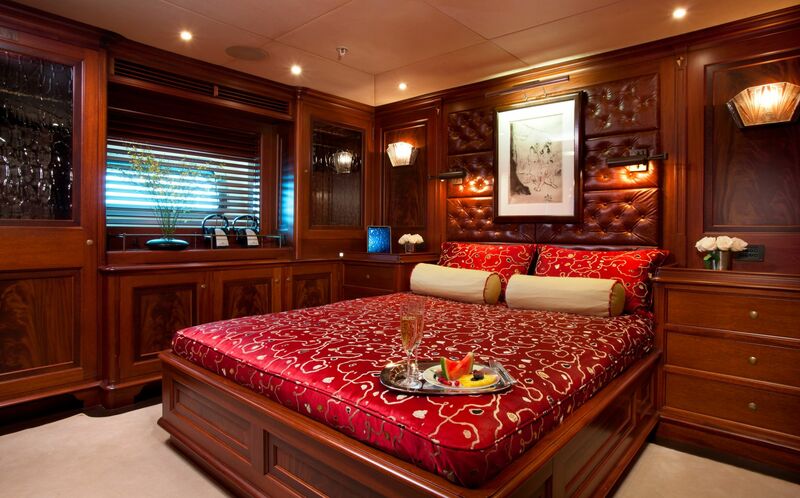 She has five luxurious staterooms, including a fantastic owner's suite on two levels. 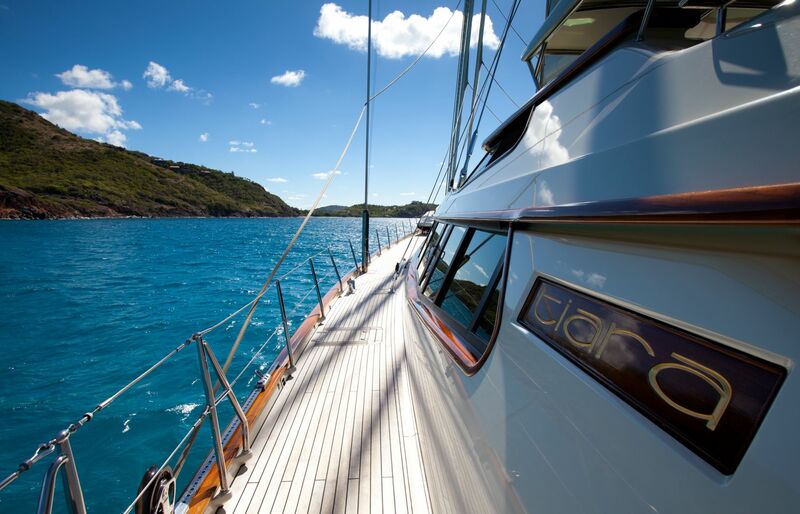 After her launch in 2004, Tiara has proved herself to be very a seaworthy ocean-going yacht, turning heads wherever she goes! 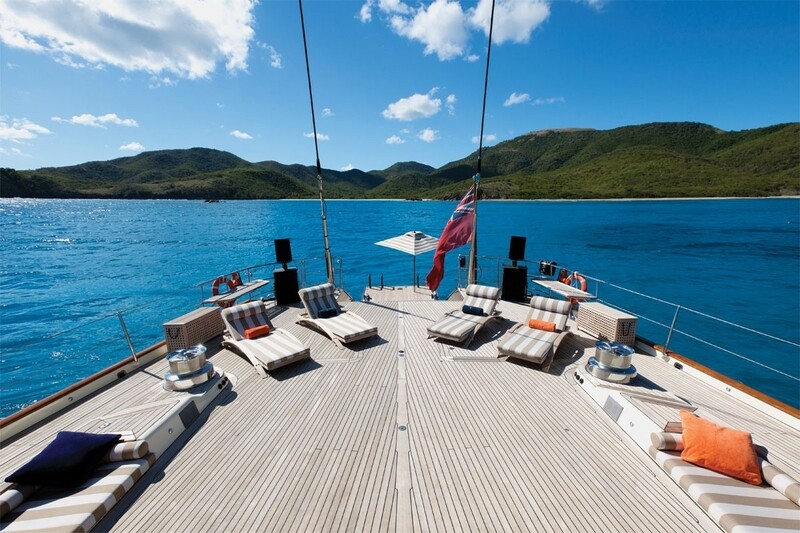 Her professional crew is ready to provide the comfort and satisfaction you deserve on one of the most impressive sailing yachts in the world. 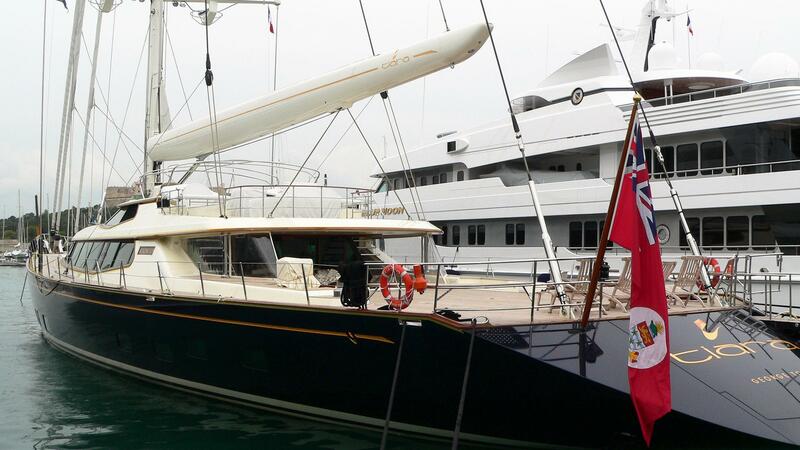 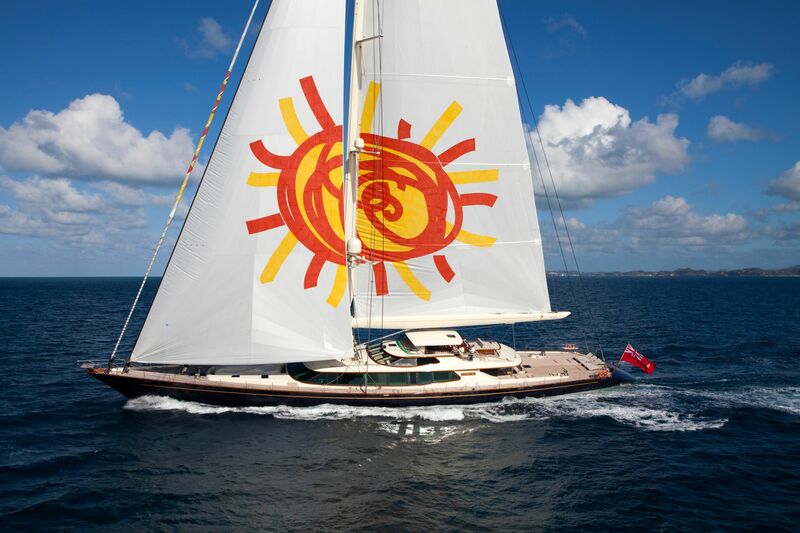 In September 2009, sailing yacht Tiara was fitted with latest Bauer Nitrox compressor and new Bauer dive equipment for ten guests. 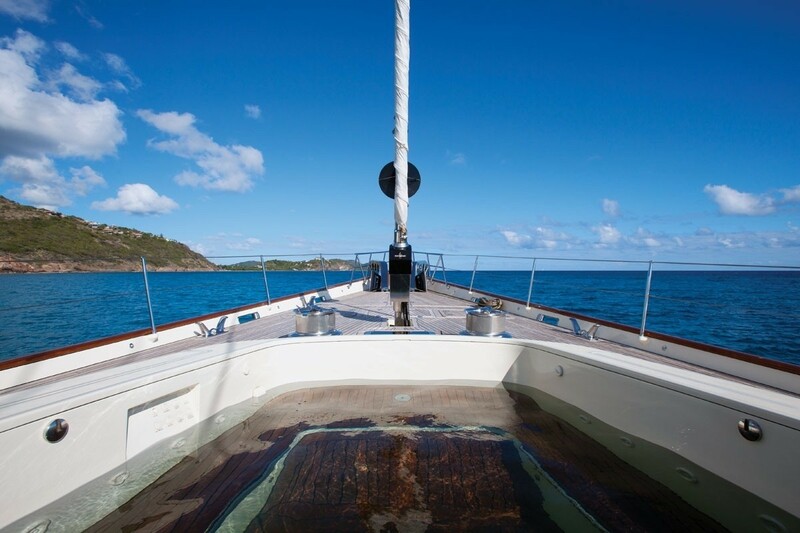 TIARA is now an official PADI dive center in partnership with Dive Butler International. 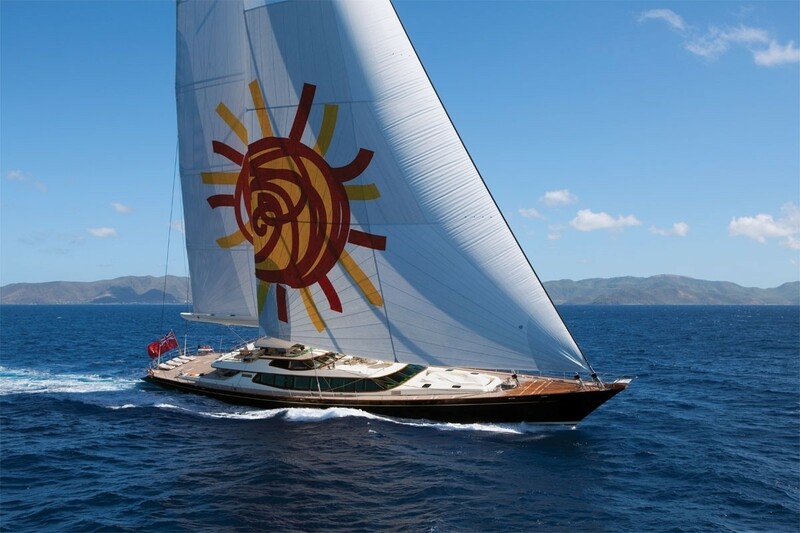 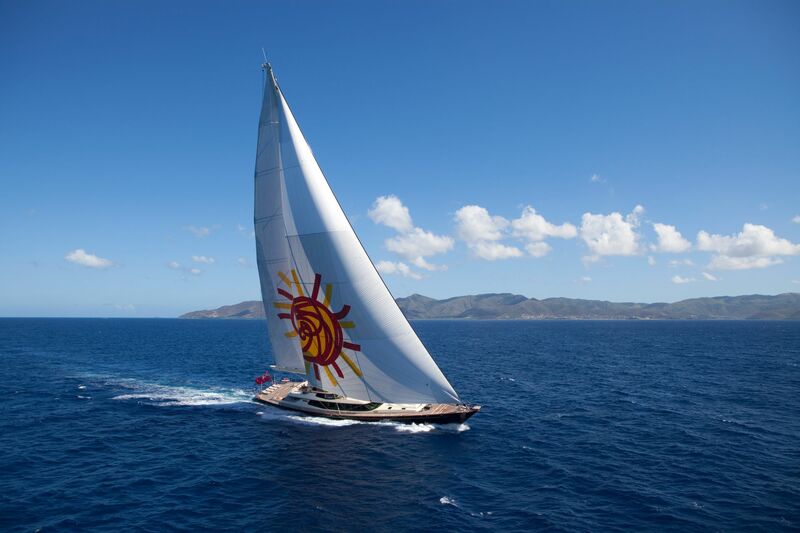 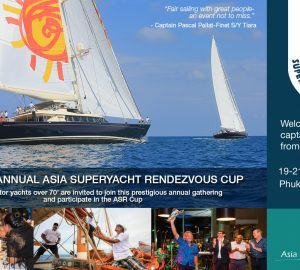 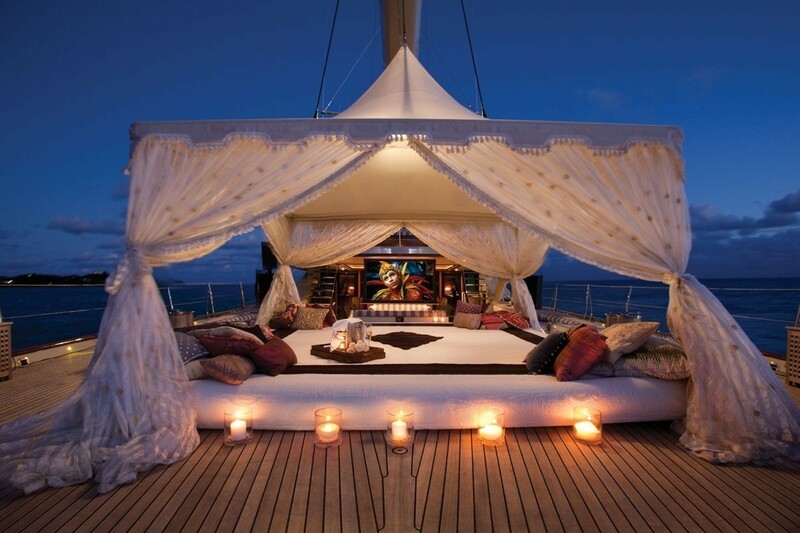 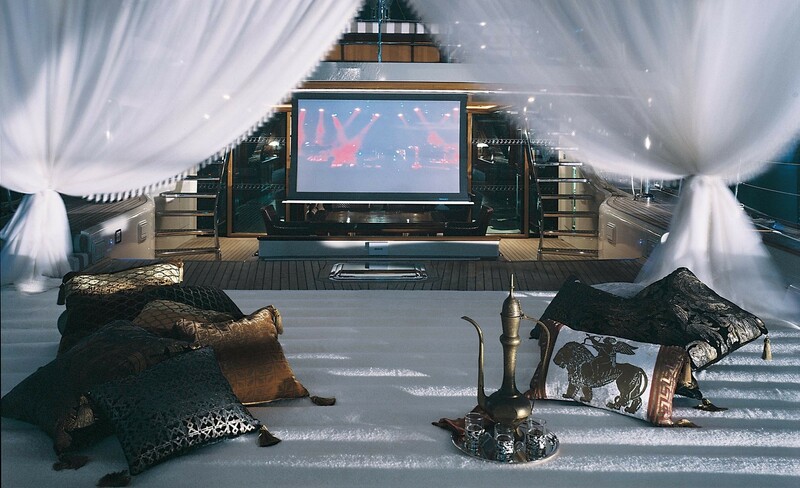 Luxury sailing yacht Tiara provides five luxurious staterooms offering maximum yacht charter accommodation for 10 guests. 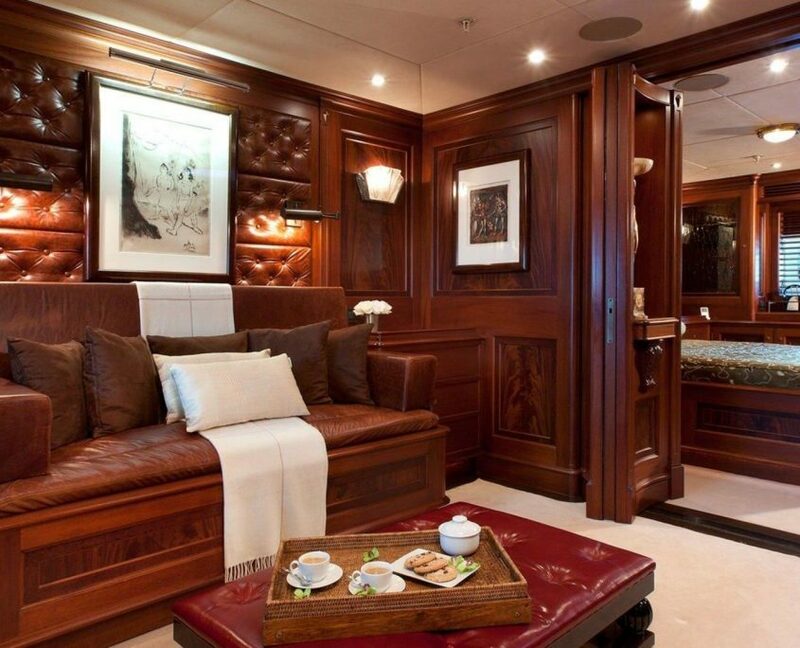 The owner’s ‘apartment’ carries over two different levels and features a superb study and a lobby. 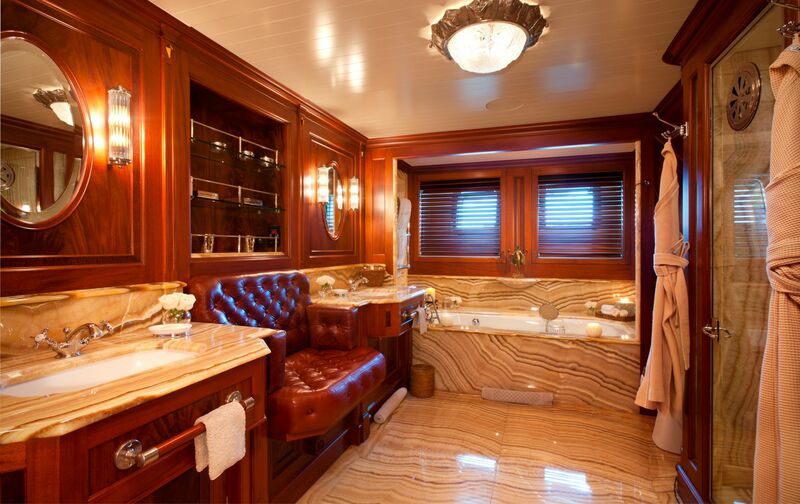 The full beam master also features a large marble bathroom and a king sized bed. 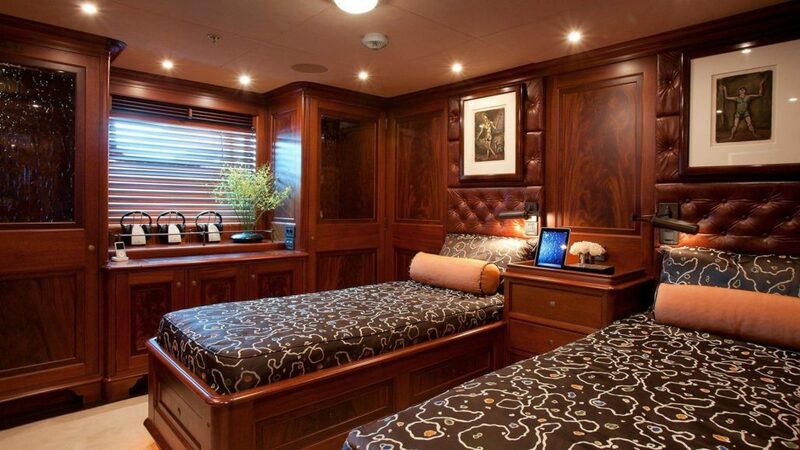 There are four further spacious guest stateroom cabins; two of which also have Pullman bunk berths. 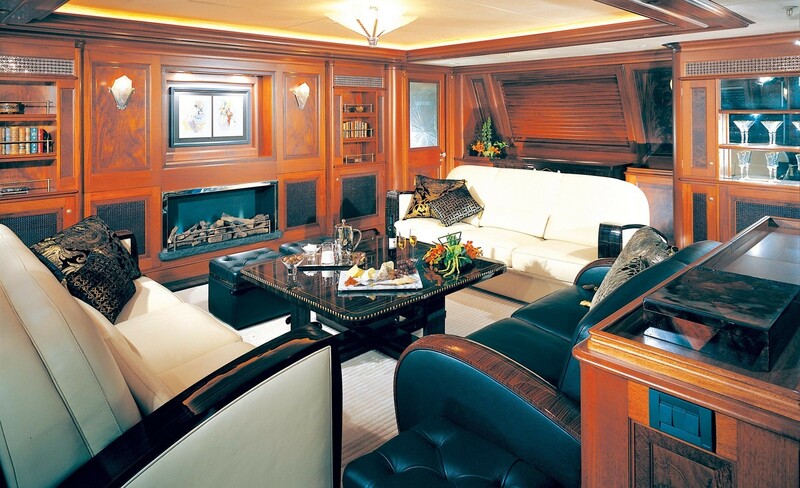 Tiara has large and separate crew accommodation for up to 12. 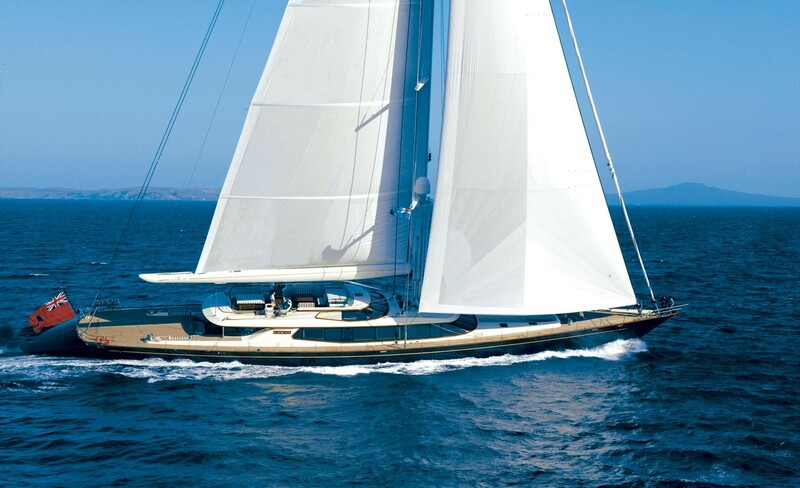 Luxury sailing yacht Tiara offers the following yacht charter recreation water 'toys' and amenities: a 21 foot Castoldi tender and a 15 foot Castoldi Tender, two laser sailing dingys, two open ocean kayaks (a single and a double), two mountain bikes, two wind surfers – one is high tech and the other more multipurposed. 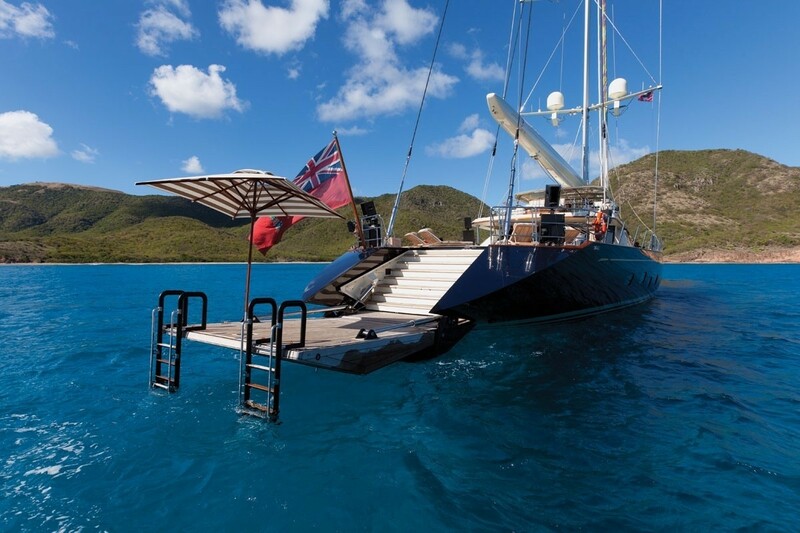 Tiara also provides a great selection of water toys with water-skis, wakeboards, surfing boards, and various inflatable water sports toys. 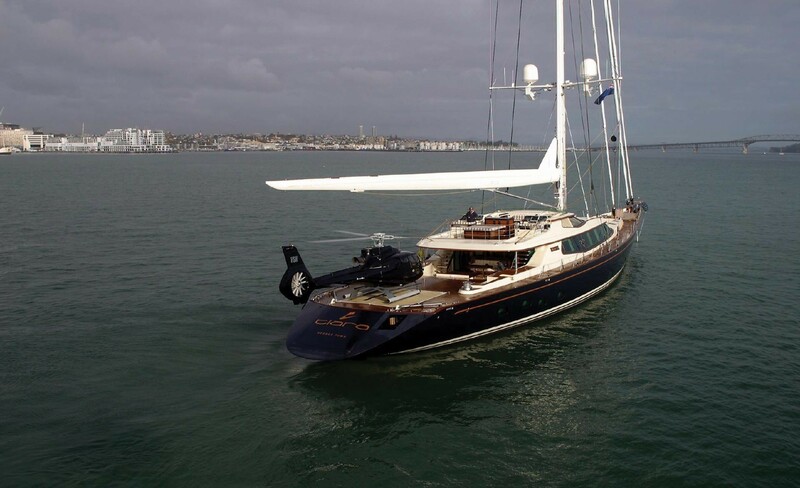 She also has a good selection of various fishing equipment, four sets of scuba dive equipment and an onboard diving compressor.